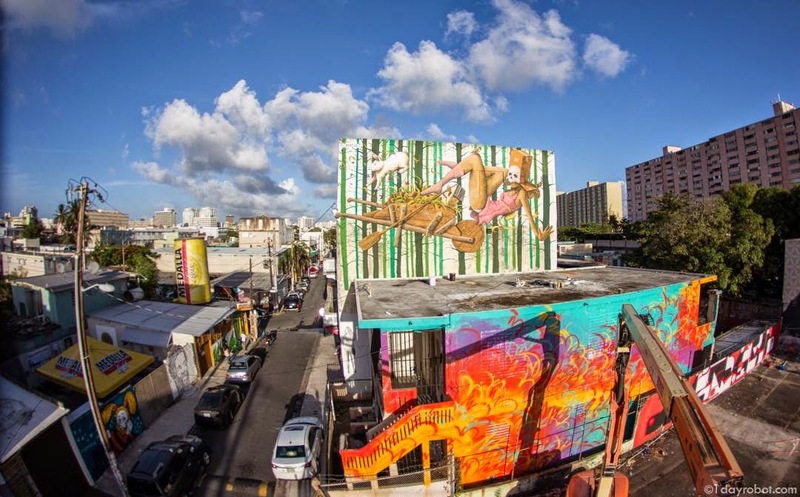 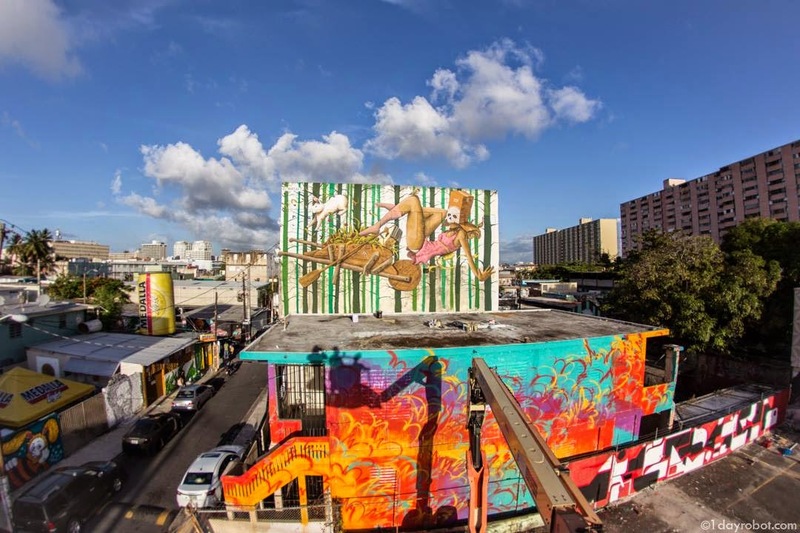 Our friend David Zayas was also part of the excellent Fifth edition of Santurce Es Ley Street Art Festival in San Juan, Puerto Rico. 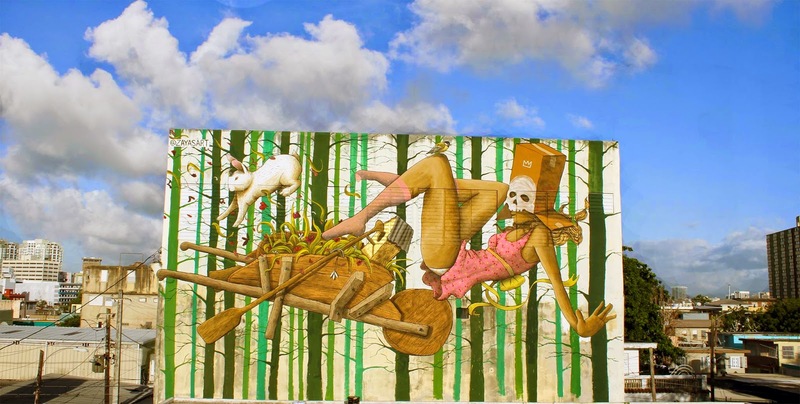 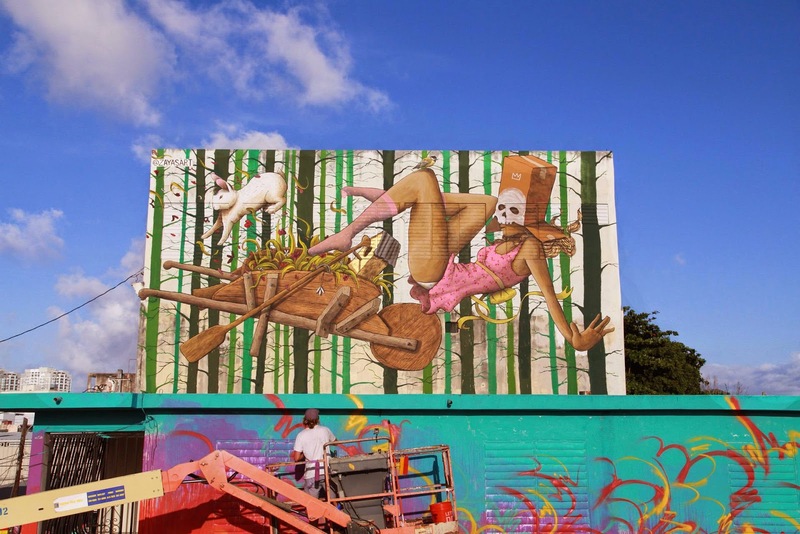 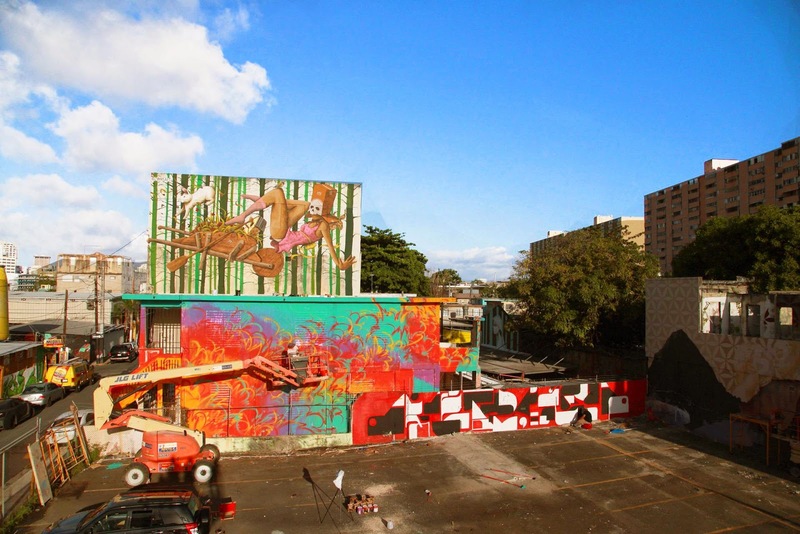 The Puerto Rican muralist and his impeccable technique quickly worked their way through this piece which is showing a rabbit, a girl with her face covered and a wheelbarrow. 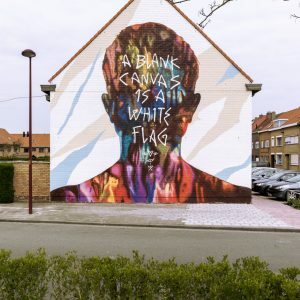 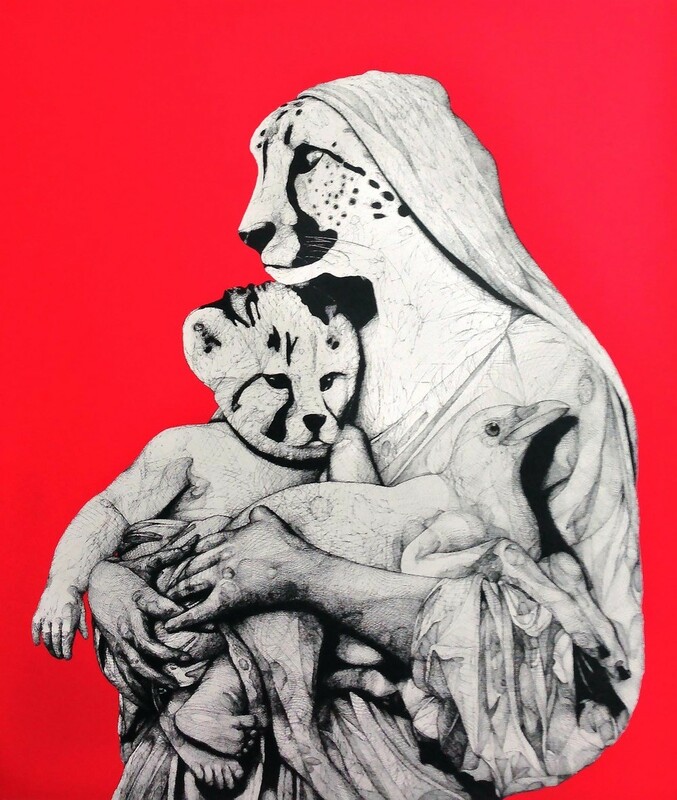 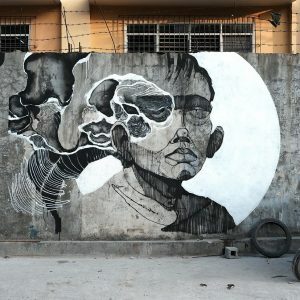 Stick with us after the click for a full rundown on this piece and be sure to head to Santuce and Calle Cerra to check it out.